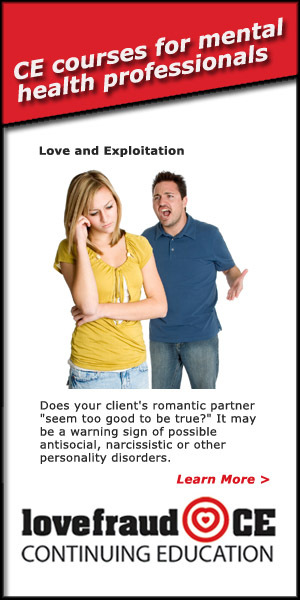 Does your client’s romantic partner “seem too good to be true?” It may be a warning sign of possible antisocial, narcissistic or other personality disorders. 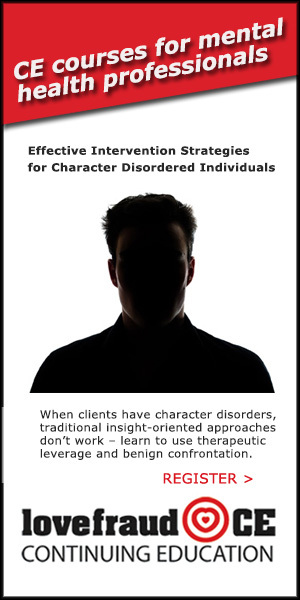 Learn how these individuals seduce their targets, what it means for the relationship, and how to help a client who has been deceived and betrayed. 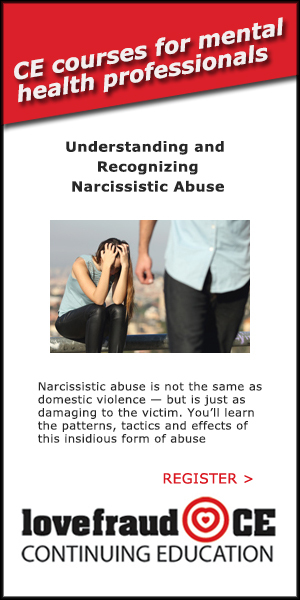 Part 1: Recognizing the exploitative relationship and its impact on the intimate partner Friday, July 22, 1-3 p.m. Eastern. 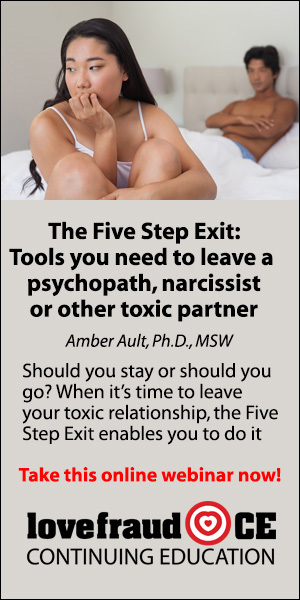 Part 2: Overview of therapeutic strategies for partners in relationships with exploiters Friday July 29, 1-3 p.m. Eastern. 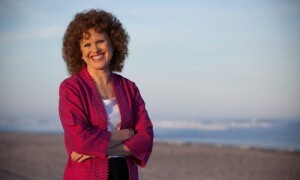 Mary Ann Glynn will answer your questions during the live online events. 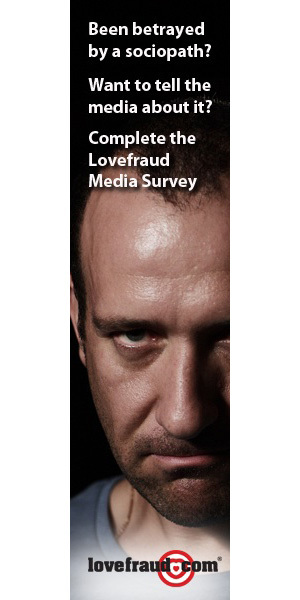 Lovefraud CE is approved by the American Psychological Association (APA) to sponsor continuing education for psychologists. Courses are approved, or are pending approval, by the National Association of Social Workers (NASW) for continuing education credit. 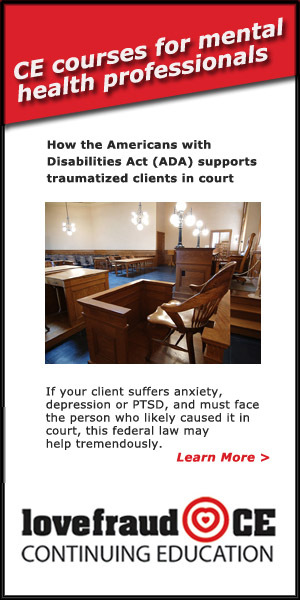 Anderly Corp., dba Lovefraud CE, SW CPE is recognized by the New York State Education Department’s State Board for Social Work as an approved provider of continuing education for licensed social workers #0354. Can’t make the live event? 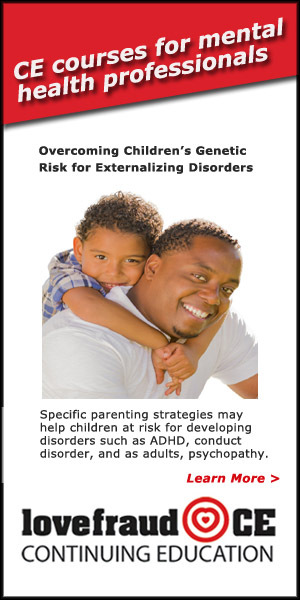 The initial webinar is recorded and available on demand the next day. 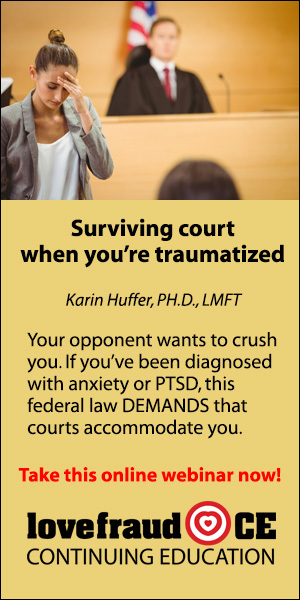 The recorded versions also offer continuing education credits (check your state requirements). 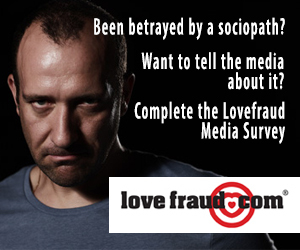 Free ebook with any purchase of a Lovefraud CE course. 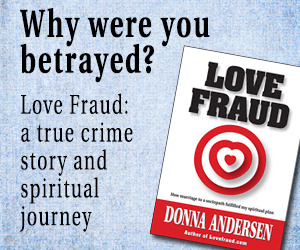 Choose from Donna Andersen’s Love Fraud, Red Flags of Love Fraud – 10 signs you’re dating a sociopath, or the Red Flags of Love Fraud Workbook. One ebook per customer. You’ll receive a coupon with your registration confirmation. 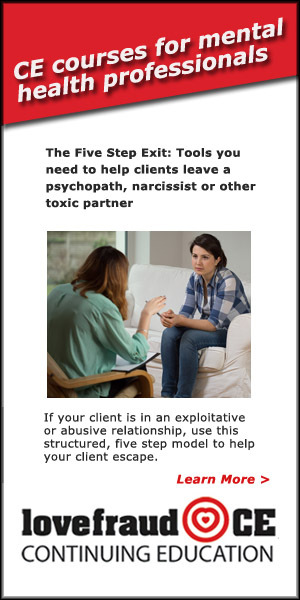 Any professional who completes six credits of Lovefraud Continuing Education courses is eligible for a free six-month listing in the Lovefraud Professional Resources Guide. After purchasing any credit course, review it for free for six months.